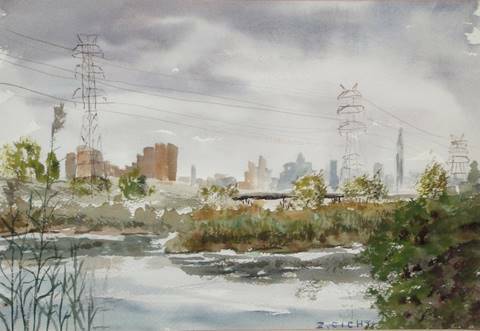 Artwork by members of the Art Association of Rutherford will be on display at the New Jersey Meadowlands Commission’s Flyway Gallery during October. The theme of the exhibit is “nature and environment,” and the show runs from Friday, Oct. 2, through Friday, Oct. 30. A reception for the artists is scheduled for 11 a.m. to 2 p.m. on Saturday, Oct. 10. The show is free and open to the public daily, from 9 a.m. to 5 p.m. weekdays, and 10 a.m. to 3 p.m. on weekends. 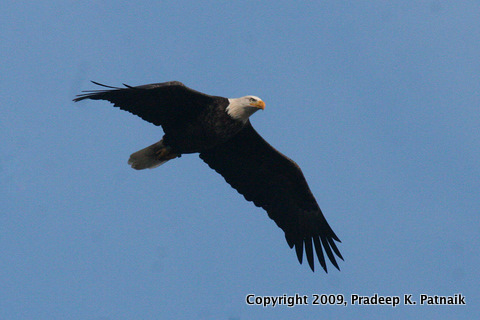 Click here for posts on earlier Flyway Gallery shows. Click "Continue reading…" for another watercolor and more information. As mentioned in a recent post, we had two Soras, a Least Bittern and a Bald Eagle on Wednesday afternoon along the Marsh Discovery Trail. 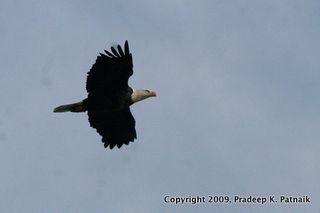 Fortunately, photographer Pradeep K. Patnaik was able to get a couple of shots of the eagle, who appeared suddenly as it flew past the boardwalk and just kept on flying south by southwest.